After I had my daughter in 1995, I started gaining weight. I went from 110 pounds to over 200 pounds in a year. I had so many symptoms and was told to quit eating. My family wondered what happened to me. I never ate much. I was always the smallest one. One doctor even wrote me a prescription to get a dog. Over the course of 10 years, I was told I had possible MS, high blood pressure, diabetes, weight gain, severe depression resulting in several suicide attempts, hallucinations, declining vision, stress, severe fatigue, inability to work, divorce, personality disorder, inability to walk the stairs or walk for that matter and numerous others. I went undiagnosed for 10 years. I was home sick one day on September 9, 2006. I was watching Mysterious Diagnosis and saw a woman with my symptoms. She had Cushing’s Disease. She turned out to be Sharmyn McGraw, a friend and mentor. I made an appointment for the next day. I asked my doc to test me for Cushing’s. I was diagnosed with multiple tumors in each adrenal gland called Cushing’s Syndrome. I was literally on my death bed. I was unable to care for all my kids and had given my cousin custody of my oldest son and my ex was given full custody of my daughter. I did manage to care for my son Gavin, who actually took care of me. Riding his bike home from school to make sure I was ok and riding his bike home right after school to take care of me. I went through many different testing including vein catheterization to see which adrenal needed to come out first. I begged my endo to just take them both but with that it would mean I would have to be on steroid replacement everyday for the rest of my life in order to sustain life. I had surgery on November 14, 2006 to remove my left adrenal gland. I lost 45 pounds in 1 month but all of a sudden I was gaining weight once again. 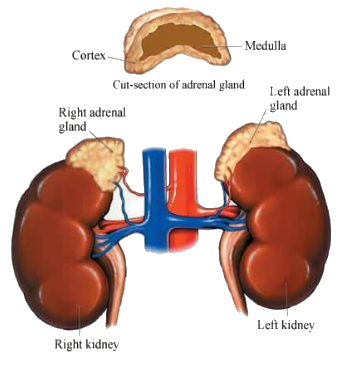 It was found that the other tumor riddled adrenal gland needed to come out. On February 14, 2008, I had my right adrenalectomy. This was an even more difficult recovery. I was hospitalized for 15 days. Resulting in Addison’s Disease, I am unable to work. I lost my home, my kids, my animals, my car, my life. I have not been able to return to work and am on disability. I am just surviving. The reason for this letter???? First, I want to bring awareness to these very rare life-threatening diseases, Cushing’s Syndrome and Addison’s Disease. My body has never recovered from the extreme weight gain and weight loss. The overproduction of cortisol for 12 years, has caused irreversible damage to my body. I have lost 40 pounds. My stomach hangs and gets in the way. I could never be intimate with anyone because of how my body looks. I believe my 26 year old daughter has had the disease for around 5 years but I googled her symptoms last March and found the disease. Her adrenal tumor was removed November 2014. Luckily she had only put on around 30 or so pounds and she has lost 20 of those. She does have permanent eye damage from her blood pressure being so high for so long. We are now waiting for the other adrenal gland to start functioning so she can go off of the steriods. I am so sorry for your situation. So much you have gone through and no one can understand unless they have seen a loved one deal with it also. Will be praying for you.